With Abarth now firmly established as a brand in its own right, the Abarth Punto EVO, which has just gone on sale in the UK, proves the firm can take a winning formula to the next level. As its name implies, the new car is an evolution of the successful Abarth Grande Punto, the car that heralded the rebirth of Abarth in 2008. 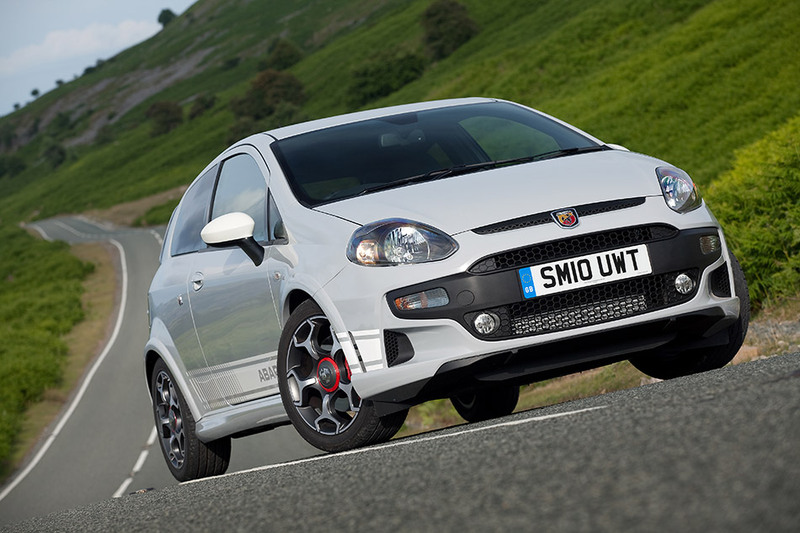 Like existing Abarth models, the Abarth Punto EVO has its origins in the world of motor racing. This ethos helps the company develop rewarding, performance road cars at an affordable price. And it blends these attributes with class-leading economy and safety in a stylish and very highly specified package. The Abarth Punto EVO is available with the award-winning MultiAir cutting edge unit that gives the car its unique combination of performance and eco-friendliness. Developed in conjunction with Fiat Powertrain Technologies, the punchy 1.4-litre turbo is the most sporting interpretation yet of the company's revolutionary MultiAir technology. 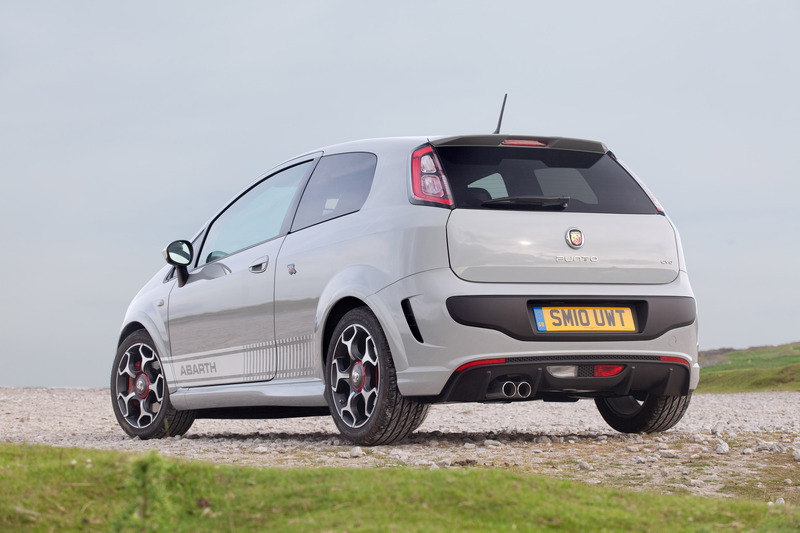 This innovation, which features a pioneering method of controlling the way the engine breathes, enables the Abarth Punto EVO to accelerate from 0-62mph in 7.9 seconds yet still return an impressive 47.1mpg on the combined cycle. And by employing Start&Stop and an in-cockpit Gear Shift Indicator (GSI) this Abarth both conforms to Euro 5 emissions regulations and emits a very un-performance car-like 142g/km of CO2. 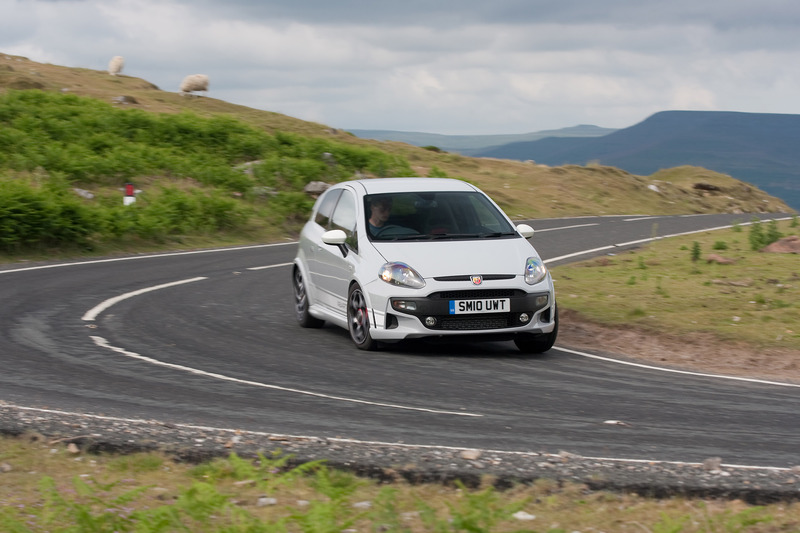 Yet despite these eco-credentials the new Abarth Punto EVO remains a true performance car. From the throaty rasp of its satin finish twin tailpipes to the sporting 17-inch alloy wheels, body coloured rear spoiler and side skirts and race-tuned suspension, this new Abarth is designed to get its driver's adrenaline pumping. This is demonstrated by the Sport Switch, a lever located down by the gearlever. This enables drivers to decide how they want the car to behave and adjust it accordingly. For a more relaxed drive, Normal is the default position. However, in Sport mode, the car becomes more responsive with sharper reactions from the accelerator and steering. Yet while thrills are guaranteed, there's no danger of any spills. 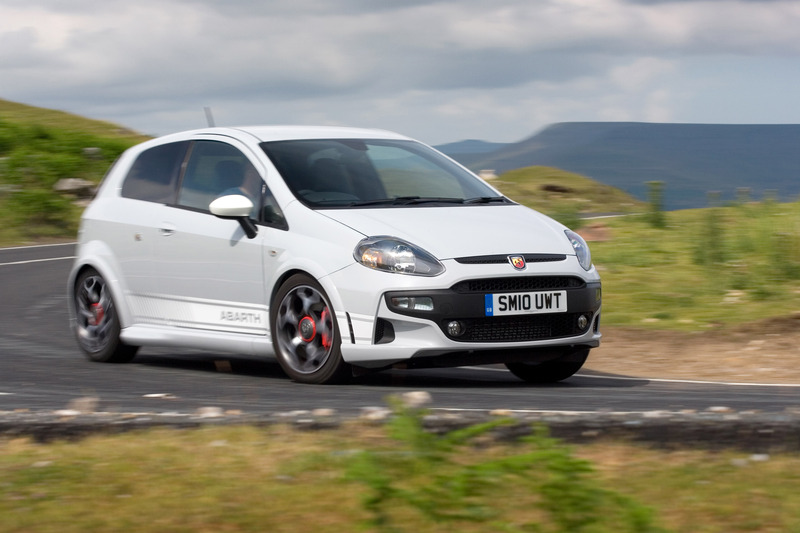 The Abarth Punto EVO is designed to protect as well as please its driver. Safety equipment includes Abarth's clever Torque Transfer Control (TTC) system. 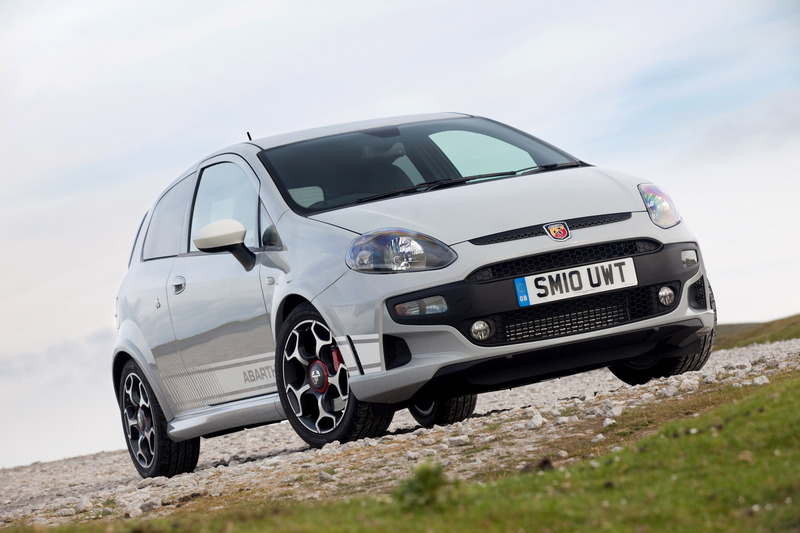 This replicates the behaviour of a limited slip differential to improve the Abarth Punto EVO's dynamic responses while ensuring the Electronic Stability Programme (ESP) remains on stand-by should it be required. And ABS anti-lock brakes, Anti-Slip Regulation (ASR) and Hydraulic Brake Assistance (HBA) are all standard, as are seven airbags including a drivers' knee bag. This is symptomatic of the high level of standard equipment Abarth Punto EVO owners can expect. The steering wheel is both reach and rake adjustable and the driver's seat adjusts for height too. There are electric front windows and mirrors, air conditioning and a radio/CD/MP3 player with steering wheel controls, and the Blue&Me hands-free system that allows control of the sound system and a telephone through voice recognition. A wide range of extras includes Blue&Me MAP, which employs motor racing technology to help drivers improve their skills at the wheel through telemetry as well as regular satellite navigation. And Abarth Corse front seats made by Sabelt are also on the option list. It's this kind of flexibility on top of an already generous equipment list that is helping to cement Abarth's continued growth and its burgeoning popularity with customers aged between 18 and 30. 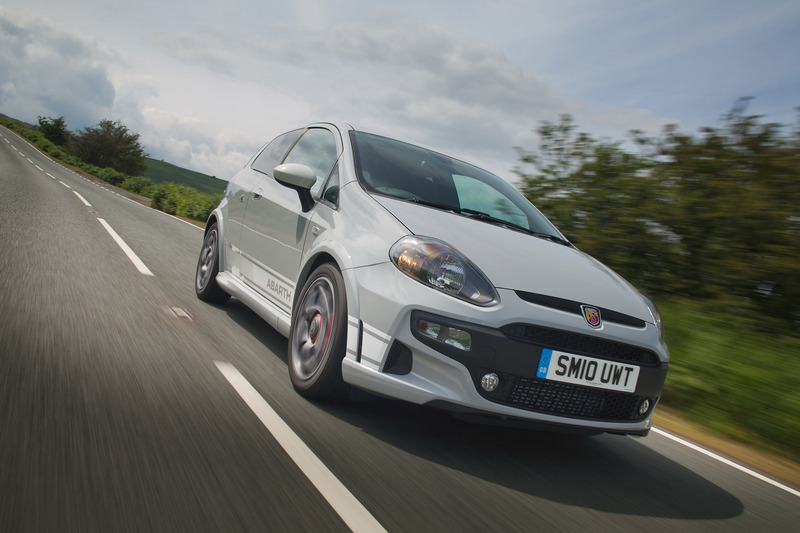 The foundations of the Abarth Punto EVO's spirited performance were laid by a successful collaboration between Fiat Powertrain Technologies (FPT) and Abarth engineers. The result is a version of the impressive 1.4-litre MultiAir Turbo that's been transformed into a true Abarth. 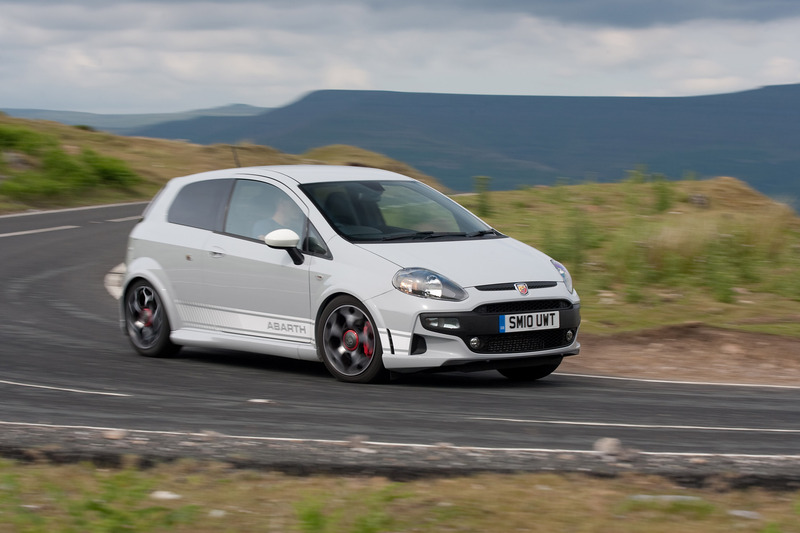 An impressive 165bhp rockets the Abarth Punto Evo to a 0-62mph time of 7.9 seconds and on to a top speed of 133mph. Central to this boosted performance has been Abarth's desire to embrace and enhance the benefits of FPT's new MultiAir technology. MultiAir marks a dramatic departure from normal petrol engine behaviour. It employs a new electro-hydraulic valve management system that controls air directly via the engine intake valves. In a regular petrol engine, where the throttle does this, energy is wasted through the valves' relatively slow adjustment to the varying conditions of everyday driving. MultiAir provides dynamic control of the air intake allowing flexibility of valve lift according to how much air the engine requires. 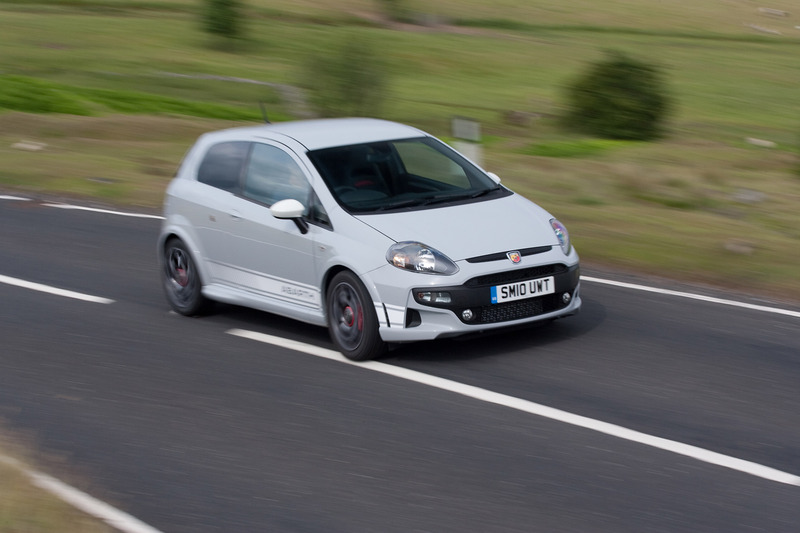 The result in the Abarth Punto EVO sees power boosted by 10 per cent and torque by 15 per cent. But at low engine speeds, early closing of the intake valves reduces pumping losses and optimises efficiency. The result is a reduction in both fuel consumption and carbon dioxide emissions by 10 per cent while particulate matter is reduced by 40 per cent and NOx by up to 60 per cent. On the Abarth Punto EVO, Abarth's engineers settled on using a Garrett turbine, chosen to provide a lag-free sporting drive while complementing the highly flexible characteristics of MultiAir technology. This translates to a maximum torque of 250Nm that can be accessed from 2250rpm. 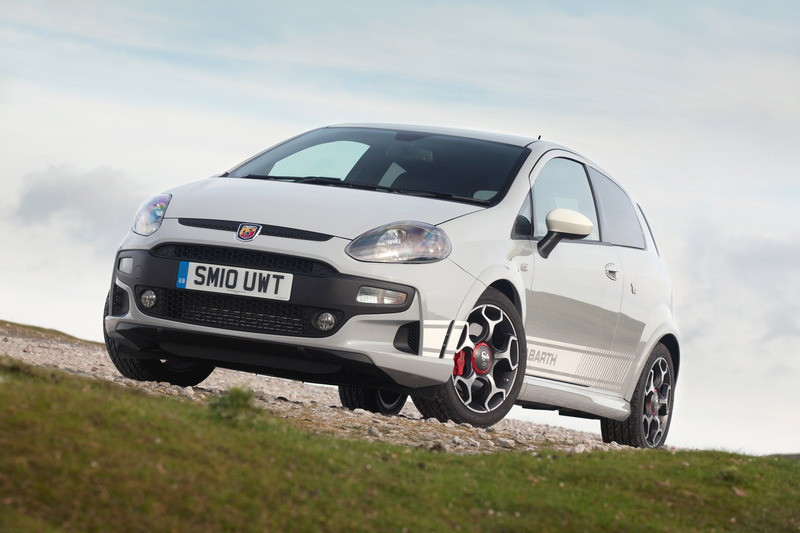 In true Abarth tradition this gives owners the feisty feeling they expect at the wheel. Yet compliance with strict Euro 5 emissions regulations and CO2 emissions of 142g/km highlight impeccable environmental credentials. To complement MultiAir's flexibility, the in-cockpit Sport Switch allows drivers to extract the maximum performance from the car according to their mood. In Italian, Manettino means ‘little lever' and it's been inspired by the steering wheel mounted controller in Ferrari's Formula One cars. Positioned down by the gear lever in the Abarth Punto EVO, this purposeful looking adjustor has two settings: Normal and Sport. When Sport is selected, throttle responses are sharpened to give the car a more urgent feel, the Dualdrive electric power steering becomes weightier for increased sportiness and Torque Transfer Control (TTC) is activated. The TTC system uses electronics to make the mechanical differential behave like a limited slip diff. It does so by employing the ESP sensors to measure wheel speed, steering wheel angle, slip and yaw. By telling the braking system to act only on the inside front wheel, engine torque can be transferred to the gripping outside wheel. The result limits understeer and ensures the best possible dynamic performance on any surface. In the cockpit, the Gear Shift Indicator (GSI) flashes to change up through the smart-shifting six-speed manual gearbox when the engine reaches the 6000rpm red line. Switch back to Normal and full ESP replaces the TTC while the GSI returns to its role of sensible co-pilot, unobtrusively advising the driver to change gear at the point in the RPM range that achieves maximum economy. The Normal setting also makes the throttle response less aggressive for more relaxed urban driving and gives the steering greater assistance for easier low-speed manoeuvres. 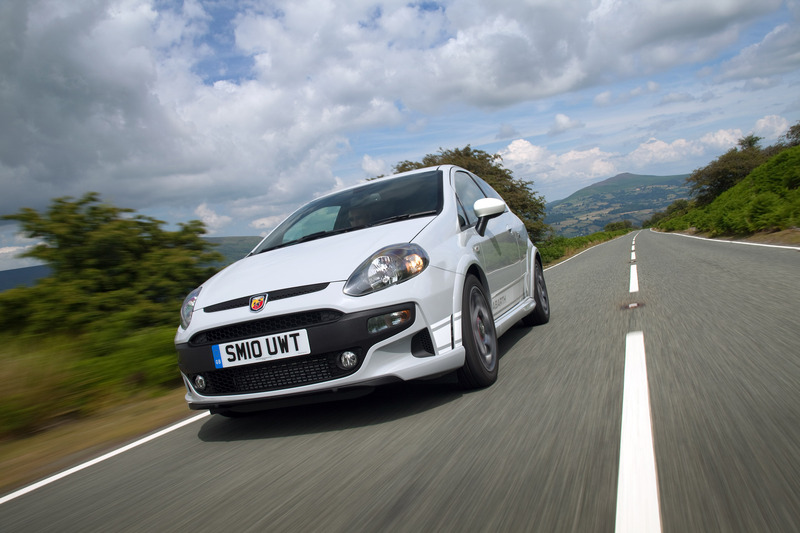 Unusually for a focused sports car, the Abarth Punto EVO features a Start&Stop system. This automatically cuts the engine when the car is stationary, preventing the engine idling wastefully and cutting unnecessary noise and vibration in the passenger compartment. It's at its most efficient in urban conditions where it reduces fuel consumption by up to 10 per cent, contributing to a combined economy figure of a competitive 47.1mpg. The engine re-starts again as soon as the clutch is depressed. And it means that if the engine is stalled accidentally it can be re-started simply by pressing the clutch. None of the car's usual functions such as the climate control or sound system are impaired by this. A performance pack, enabling owners to upgrade their cars to esseesse (SS) specification, will be available at a later date. This boost power output to at least 180bhp. With a racing pedigree as legendary as Abarth's, it's no surprise that safety has featured as a priority in developing the Abarth Punto EVO. Thus, every car comes with a remarkably high level of safety equipment as standard. Seven airbags, including dual-stage driver and passenger bags, window bags, side bags and unusually for this class of car, driver knee bags are fitted as standard. As this is a sporting model, the Abarth Punto EVO was designed from the start to guarantee high performance in complete safety. To limit understeer it employs the TTC system that uses the ESP sensors and brakes. The braking system has been designed specifically to match the Abarth's sporty nature. The front discs are ventilated with fixed Brembo callipers that are accentuated by a racy red colour. Disc brakes are fitted at the rear too. To guarantee the responsive handling expected of an Abarth, a tried and tested suspension configuration of MacPherson independent at the front and semi-independent with torsion beam at the rear has been adopted. But the front springs are 20 per cent stiffer than the regular Punto EVO and anti-roll bars front and rear are oversized to give a perfect combination of road holding and comfort. Active safety equipment on the Abarth Punto EVO is boosted by a suite of electronic driver aids. ESP Electronic Stability Programme ensures control is maintained at all times and comes with Hill Holder. This uses information from various sensors on the pedal board, gear shift and ECU to prevent the car from rolling back on a slope until the driver releases the clutch to move off. Also standard are ABS anti-lock brakes with Electronic Brake force Distribution (EBD) and Hydraulic Brake Assistance (HBA) to ensure maximum stopping power is on tap when it's required. 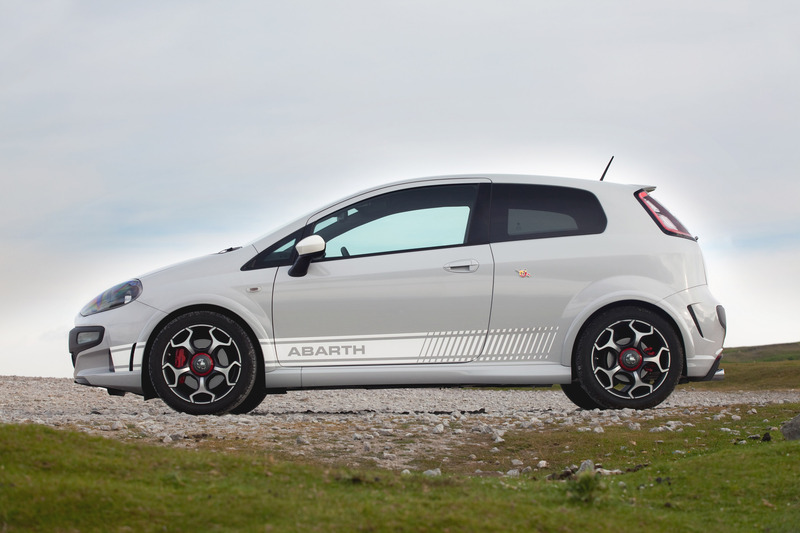 Every Abarth is expected to stand out from the crowd and the Abarth Punto EVO is no different. But so that it conforms with Abarth tradition, visual modifications aren't simply cosmetic; they also have an impact on the car's performance. Drawing inspiration from the successful Abarth S2000 rally car, the front is characterised by side intakes in the front valance that help guide and therefore improve airflow around the front of the car. The front bumper incorporates an aerodynamic splitter to guide airflow beneath the car and the valance has been made broader so that it runs seamlessly into the side skirts. A black plastic bar splitting the main honeycomb-effect radiator grille houses the number plate. And the Abarth badge bearing the classic scorpion icon is now its traditional shield shape rather than round as on the previous model. Adaptive cornering foglights that illuminate to warn other drivers of a lane change manoeuvre, and day time running lights ensure the Abarth Punto Evo stands out. The side skirts are body-coloured to make the car appear glued to the ground even when it's stationary. And the side graphic has been extended to the front bumper. The 17-inch wheels have been re-designed too with their spokes now reflecting the scorpion pincers on the Abarth badge, while the famous logo also appears on the wheel centres. The rear bumper incorporates side vents along with a distinctive new diffuser to channel air away from the car's underbody. This diffuser now houses the fog and reversing lights which have been centrally mounted so they become the focus of attention, as on a Formula One car. The wider bore twin exhaust tail pipes feature a satin finish and are also located in the diffuser. 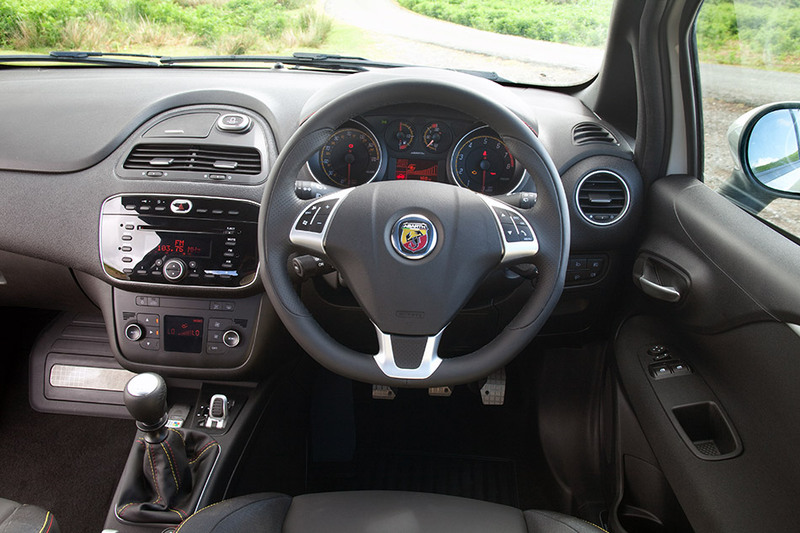 Driving an Abarth has always been special and Abarth Punto EVO owners will appreciate that even more thanks to a thoroughly re-designed interior. Hard angles have been abandoned and replaced with softer, curvier lines that appear plush and elegant to give a cosier more comfortable atmosphere. The finish of the fascia has been chosen to replicate the effect of tarmac on a race track, an Abarth signature that's repeated throughout dealerships. Above it, high quality leather covers the dashboard with red and yellow stitching around the leading edge to highlight the new cowl that shades the instruments from the sun. These instruments, produced by specialist manufacturer Jaeger, feature larger speedometer and rev counter faces while a graphic between the two shows how much boost the turbo is contributing. The steering wheel has been designed for maximum driver appeal too. It's trimmed in soft black leather, has a racing-car like flat bottom, and specially designed contours to ensure it's comfortable and wieldy whatever position it's in. Controls for the sound system and Blue&Me ‘infotainment' are also steering wheel mounted for easy thumb operation. A radical redesign inside has halved the size of the centre console. At the top of this now sits a recess where the portable Blue&Me TomTom unit can be located just above the air vents. Blue&Me TomTom gives a completely integrated infotainment system, allowing management via touch screen of telephone, navigation and sound system. 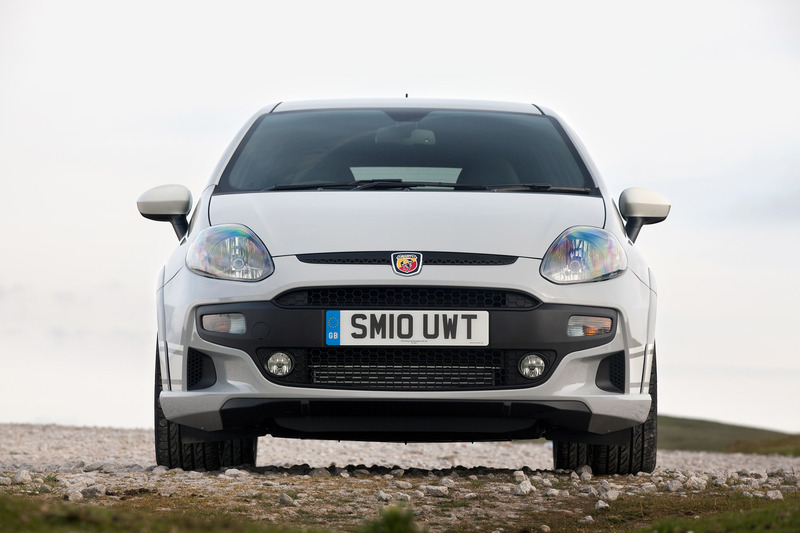 So that owners can make the most of their Abarth Punto EVO's sporting credentials, the firm's unique Blue&Me MAP driver aid is also available. This portable navigation device is fully integrated with the vehicle so there are no unsightly cables. And it allows drivers to monitor and analyse their skills behind the wheel. Employing know-how acquired from electronics expert Magneti Marelli's exploits in motor racing, a real-time telemetry screen displays engine RPM, gear selected and vehicle speed. If the driver is using one of the circuits pre-loaded on the SD card, satellite tracking shows the position of the car on the circuit and its lap time. On a track that isn't on the database, a slow lap with the ‘circuit acquisition' feature in operation will record the details. Afterwards, all the information from a track session can be accessed and analysed to enable drivers to improve their performance. 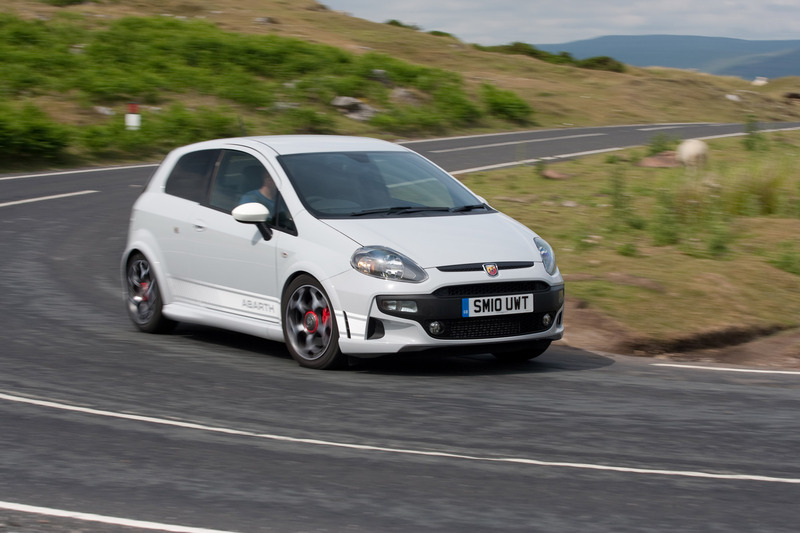 Sessions can also be downloaded for comparison with friends, colleagues and other Abarth owners. Blue&Me MAP is much more than simply a tool for sporting drivers. Using Bluetooth connectivity it enables drivers to interact with the in-car audio system and control the satellite navigation safely without taking their hands off the steering wheel. Navigation instructions also appear in the main instrument cluster for enhanced safety. And because this navigation device is portable, drivers can take it with them to use as a map on the move. 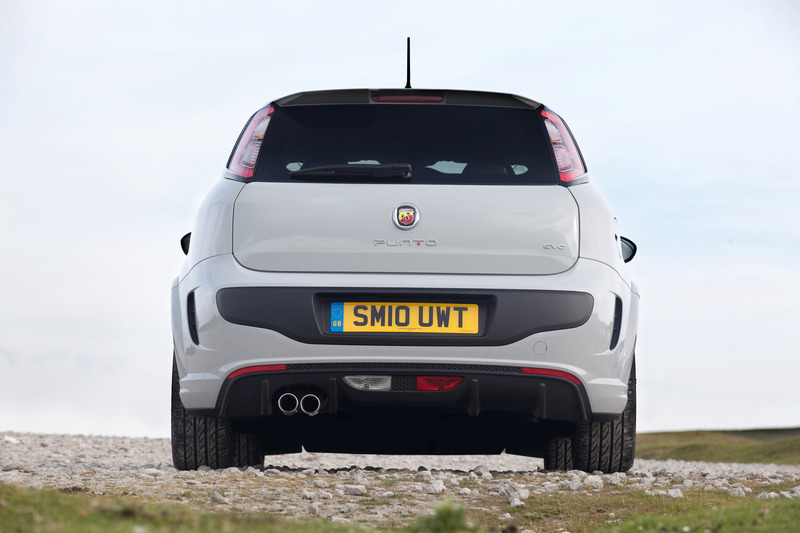 The Abarth Punto EVO isn't just well equipped in technology terms. As we've already seen there's comprehensive safety equipment and the cockpit is lavishly equipped. To ensure any driver can find their optimum driving position, the seat adjusts for height and the steering wheel adjusts for reach as well as rake. Air conditioning with an anti-pollen filter is standard, as are electric front windows and wing mirrors with a demist function. Sporty metal pedals with a foot rest are also standard, like the figure-hugging sports seats. These are trimmed with soft black leather round the edges while the middle is covered with a high-tech fabric that's soft enough to be comfortable while also resistant to wear and breathable. If this isn't sufficient, a wide range of options are available including automatic climate control, the Sky Dome electric sun roof, and Abarth Corse front seats by Sabelt in either black fabric or Alcantara with red and yellow stitching.